A birthday is the most special and significant event in life. People usually celebrate their birthday with their family and friends. On this day the most desired dreams may come true. However, you should wish it to happen to a person. So, today let’s look at some ways to wish something to a person, and how to say “Happy Birthday!” in Russian. 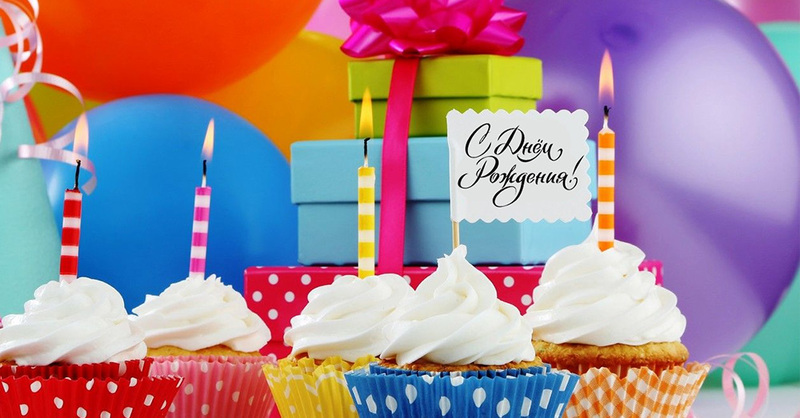 A traditional wish on this day is “С Днём рождения!” (transliteration: S dnyem ​​roshdeniya), (Happy birthday!). You can sometimes hear people say “С Днём варенья!” (transliteration: S dnyem vareniya), (Happy jam day!). However, people usually say this phrase to children or very good friends. The main wish on this day is the phrase “Желаю всего самого лучшего!” (transliteration: Zhelayu vsego samogo lucshego), (I wish you all the best). You can start you wishes to a birthday girl or boy with this phrase (birthday girl or boy). Another very common birthday wish is: “Желаю тебе здоровья, счастья и любви!” (transliteration: Zhelayu zdarov’ya, schast’ja, l’yubvi), (I wish you health, happiness and love). If you would like to wish something unusual or original to a person, you say: “Желаю, чтобы у тебя все было, а тебе за это ничего бы не было” (transliteration: Zhelayu, schtobi u tebya vsyo bilo, a tebye za eto nichego ne bilo), (“I wish you have it all without repercussions”). As a rule, people say this phrase to their best friend. The phrase “Желаю, чтобы все твои мечты сбылись” is also a very common birthday wish (transliteration: Zhelayu, schtobi vsye tvoyi mechti sbilyis), (I wish that all your dreams come true) or “Желаю всего, чего ты сам себе желаешь” (transliteration: Zhelayu vsyego, chego ti sam sebye zhelayesh), (I wish you all that you wish for yourself). If you are going to your friend’s birthday party and you’d like to say a toast , you can say one of the abovementioned wishes with some alterations. You should always start with the phrase: “Я предлагаю выпить за …”(transliteration: Ya predlagayu vipyitj za …), (I propose we drink to …). After that, you can add your wish starting with the phrase “Желаю ей/ему …” (transliteration: Zhelayu yemu/ yej), (Wishing her/him). We hope you’ll find this article useful if you ‘d like to say something to your friend in Russian on their birthday.